William Morrow Paperbacks, 9780062234629, 320pp. At the beginning of the novel, Ruby says, "My past was never more than one thought, one breath, one heartbeat away." Later, Professor Barnard calls the past "nature's most underestimated ghost." What role does the past play in the story's plot and the characters' motivation? To what extent does a person's past define who he or she is at any given moment? How does the past dictate the future? Fathers are almost nonexistent in the story, since both Ruby and Beth's dads are deceased. Furthermore, Virginia Barnard's father is portrayed in a negative light. Think about the role a father plays in a child's life, especially in regards to girls. How could a woman's relationship with her father impact her relationships with men? What circumstances could have caused Ruby to fall so quickly and deeply in love with Mark Suter? Do you feel you would have welcomed or resisted his advances? How does the death of Ruby's father impact her characterization? Can the loss of a loved one change who we are? Is the effect always bad, or can it be good? Are those changes irreversible? Ruby's thesis rests on the assertion that madness and creativity are linked. Reflect on creative people. Is there a connection between the two? Ruby's thesis revolves around the Virginia Woolf quote: "A woman must have money and a room of her own if she is to write fiction." What do you think Woolf meant by this? Do her words still hold weight today? Just like many intelligent and successful women, Ruby and Beth are seduced by Mark, thus making an essentially poor decision. Discuss how love can open the door for smart women to make stupid choices when it comes to a partner. After Mark breaks up with Ruby, she tries to take her own life. What part, if any, did he play in her suicide attempt? In your opinion, did she really want to die, or did she just feel like she didn't want to live? Is there a difference? Tarble, a fictitious all-female college in the Midwest, serves as the story's setting. In what ways does this backdrop supplement the novel's plot and themes? How might the educational experience at an all-girl college differ from a co-ed school? Is there still a need for women's colleges today? Feminine depression is a major theme of the story. Is depression the same for both men and women? How might the depression experience be different for a woman versus a man? At Tarble, Tia Clark and the other student protesters carry signs with the phrase silence is consent. Is being quiet synonymous with approval? When is it best to speak up, and when is it better to say nothing? Despite what later transpires, Professor Virginia Barnard proves to be an effective mentor for Ruby during her weekend at Tarble. Reflect on your past school experiences. Which teachers made the biggest impact on your academic, social, and emotional growth? How much of a difference can a teacher make on a student, both positively and negatively? While chatting with Ruby, Professor Barnard says "knowledge is power," a quote attributed to English philosopher and author Sir Francis Bacon. Is knowledge power? How does what we know impact what we do? In the cabin, Professor Barnard wants to punish Mark Suter for crimes of the heart. Should he be punished? And if so, how? Do you have any sympathy for him? The relationships between women— mothers and daughters, sisters, and friends—is a recurring theme of the novel. What role does female bonding play in a woman's life? 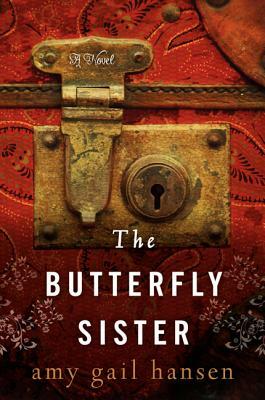 At the end of the novel, Ruby reconsiders the meaning of the term butterfly sister. Reflecting on your own life, who might you refer to as a butterfly sister?